It has been a month full of wonderful period drama releases, with The Favourite and Colette already in cinemas now being joined in the UK by Mary Queen of Scots. The film had been in planning stages on and off for twelve years and is long awaited by many. 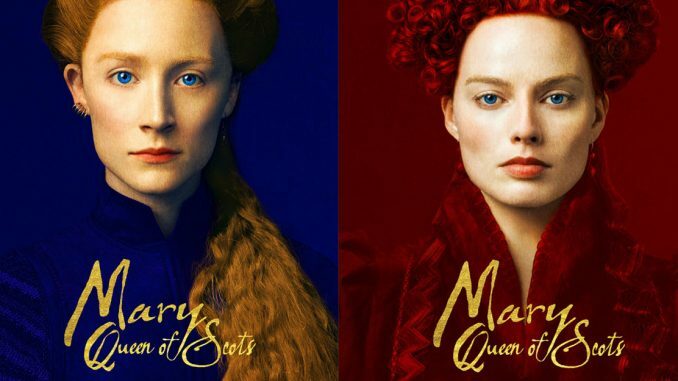 After a number of casting changes, Saoirse Ronan was chosen to play Mary, and Margot Robbie was chosen as Queen Elizabeth I. In a time of female rulers in Scotland and England and current discussions over sovereignty and belonging being stirred up however I believe 2019 to be the perfect year of release for this film. The film is set in the second half of the sixteenth century from the time of Mary’s return to Scotland until her death, though it focuses on the years immediately after Mary’s return from France where she had grown up, leaving due to being widowed. Before I begin with my own review of the film, let’s just get a few things out the way regarding historical accuracy. As we are all fans of history it is often quite irritating when a film blatantly disregards fact for the sake of entertainment, and in this film, there are a number of times when this happens; most notably Mary’s Scottish accent which should have been French as she grew up in France. Also the portrayal of Mary and Elizabeth meeting in person; as far as we aware, the two Queens never met in real life (especially not in a mist-filled hut in the woods) but a film is there to entertain so we must allow for a few fictitious twists on the real history. These minor irritations aside, the film is beautifully directed by Josie Rourke and engaging for the entire two hours. 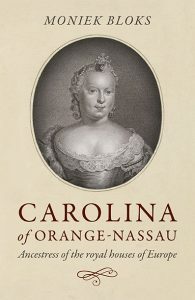 Though the story of the two Queens; Elizabeth I and Mary Queen of Scots is well known and probably over-done, the influence of the works of historian John Guy and House of Cards developer Beau Willimon breaths new life into a well-worn tale and the large scale release means that the history now reaches a much wider audience. In the film, Mary is portrayed quite realistically in my opinion; as a young woman of eighteen attempting to challenge the rule of the protestant nobles and leader John Knox in order to take control of her own country. Saoirse Ronan plays the young queen impeccably, showing her both as a monarch but also as a young woman under the control of many of the men around her. Award nominations, however, are being aimed at Margot Robbie who plays Elizabeth, the virgin queen, of England. I have to say I do not really agree with a lot of these nominations and believe it to be quite an odd and hard to watch portrayal of Elizabeth who seems to be obsessed with the idea of motherhood and cries for no real reason, maybe Robbie was just following direction, but I believe her casting was an error. With a running time of two hours, the film contains a lot of standing around chatting which is needed to get the plot points across and I think the production would have worked much better in two parts or as a series. Due to the limited timing, all of Mary’s years of imprisonment were skipped over, which would leave a viewer unfamiliar with the history perplexed, as Mary does not appear to age at all in the period. For all the film’s flaws, however, there are a lot of good points; my favourite point being the casting of David Tennant as John Knox as he played the part brilliantly. Also, the film is worth seeing just for the beautiful landscape shots and amazing costumes, hair and makeup which deserve any award nominations they are up for. The film was a satisfying watch on a wintery day, and as somebody who knows the story of Mary Queen of Scots inside out, I enjoyed it. I would recommend those who do not know the story very well to have a cursory scroll through the History of Royal Women website before or after watching to clear up any confusing parts, but I think it is an easy to watch film that can be enjoyed by all and covers many different areas of interest.